William Johnson, better known as Billy "White Shoes" Johnson, is a former American football kick returner who played from 1974 through 1988. 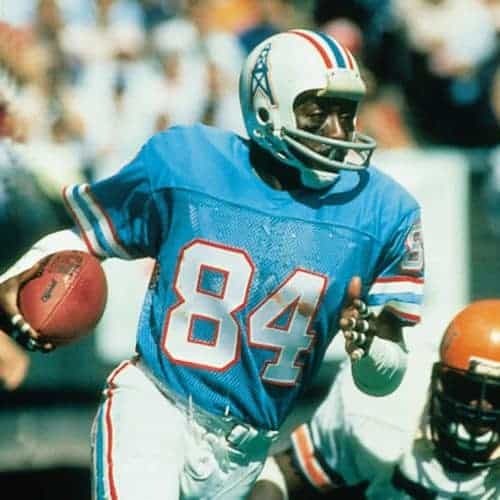 He played college football at Widener College in Pennsylvania, until he was eventually discovered by the Houston Oilers, who drafted him in the 15th round of the 1974 NFL Draft. 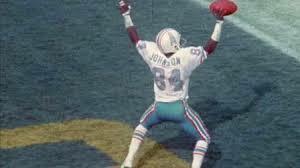 He was one of the first players to display elaborate celebrations in the end zone. As a kick returner, Johnson returned five punts for touchdowns, along with two kickoffs, in his first four years with the Oilers, and added 12 more touchdowns on offense. He was selected to the Pro Bowl as a kick returner in 1975, and was named MVP of the game, during which he returned a punt 90 yards for a touchdown. He made another Pro Bowl appearance in 1977.